The reasoning behind that decision seems to be that 1900s Folkestone was not a diverse place. “I can assure you,” said Fellowes, “that Folkestone was not diverse, in terms of Folkestone society and all the rest of it.” Presumably there is plenty of historical evidence of the townspeople being inveterate banjo players. What, then, of Hamilton with its fully integrated cast playing the real-life, all-white Founding Fathers of America? It’s a history that belongs to all Americans – and the show doesn’t discriminate based on historical precedent. Audiences don’t just accept it – they positively embrace it. 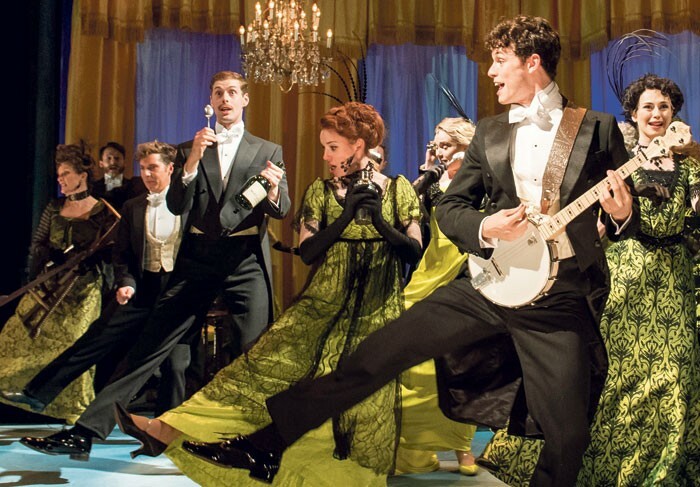 Fictional representations of communities – as in Half a Sixpence, or the real-life one of Billy Elliot – can afford similar leniency on casting. The population in Easington, where Billy Elliot is set, was 99.2% white in the 2001 census (in 1981, when the show is set, it may have been higher); yet the show has always turned a blind eye to the ethnicity of the young actor in the title role – the fifth was Matthew Koon (now with Northern Ballet) and the sixth was Layton Williams (now playing Angel in the tour of Rent). The tour has two non-white performers among its Billys. More to the point, his family and the older, adult Billy remain the same actors, regardless. So something that is absolutely rooted in a specific time and place uses colour-blind casting in its lead role – and audiences don’t bat an eyelid.